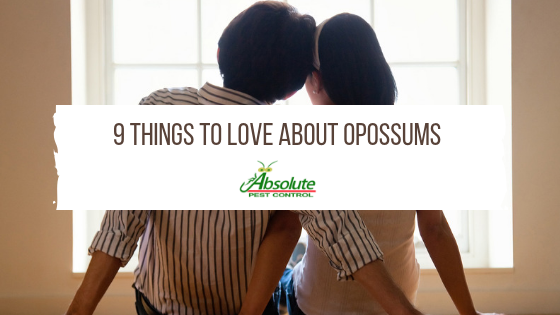 How can we find 9 things to love about opossums? It’s easy! They are one of the most common mammals located in cities and towns. People think that they are scary or gross. But, really they are just misunderstood. Opossums are North America’s only marsupial. Most marsupials live in Australia. Koalas and Kangaroos, like Opossums, have very short pregnancies. Only 12 days. That is before the babies are fully formed! Who doesn’t love a cute baby animal? And, opossums are no different. Their babies are adorable. Like the big bad wolf, they have lots of teeth. They have more teeth than any other mammal! 50 teeth. Opossums are immune to rabies. Which means you cannot get rabies from an Opossum. They are hitch hikers. Baby opossums ride around on their mother’s backs. Just another way that these are some seriously cute mammals. They are adaptable to situations. Being picky, that’s not in their vocabulary. Opossums will live and eat almost anything. Cat food, is a favorite. The best part of their diet is the insects, mice, fruit, and trash. Opossums kick your garden slug free. Slugs and snails eating your garden? Opossums eat those too! Ticks vs Opossum = Opossum wins! These mammals will eat ticks too! These not so friendly creatures eat so many pests that bother humans. Can you believe they eat snakes too?! Snakes are no match for the opossum. And, they are immune to many types of snake venom. Here are 9 Things To Love About Opossums. We hope you will learn to love opossums like we do. Loved this article? Read more HERE.